My name is Craig Towler and I’m the Founder of Amputee Concierge, a 100% free resource geared towards simplifying the process of getting questions answered that a new amputee or family member may encounter. I would like to personally welcome you to the first issue of the Amputee Concierge Newsletter and invite you to our ever growing community of support! When building a community of support, I feel that it’s important to communicate and discuss important topics and issues with others that will encourage deeper thinking, reflection, and potential help relative to our situations. I wanted to provide a user-friendly source for sharing and reading this information, delivered right to your inbox. At the bottom of each newsletter, you will see tabs you can click to answer our featured question of the month, share a location that meets your mobility needs, share your story, or submit any questions you might have. We will review these responses, and select a response for each category to be featured in a future newsletter. My goal is for this newsletter to evolve into whatever we want it to be over time. So, I’ll also be asking for any feedback/ advice you might have and how to improve, as well as ideas for new sections we can add. We’ll be starting with a monthly or bi- monthly release. Each month we will present a question to you about life, perspective, and circumstance with the intention of sparking conversation and ideas. Shared experiences and perspectives are often undervalued and this a space that can bring value and empowerment back to ourselves, while being inclusive to everyone. Amputee Concierge is an online platform Towler created for people with limb loss to ask questions and receive answers from Towler himself in a timely manner. I know it has always been very empowering for me to share my own story, so I’m hoping to create a space/ platform to help others do the same. Each month we will feature a member of our community who has volunteered to share their story. Each month we will highlight a business or location chosen from our communities that provides equal access to everyone and is a shining example of what being accessible truly means! Featured Question of the month: Do you consider yourself to be disabled? Is this a hard question for you to answer - why? New Accessible Location of the month: Do you have a favorite spot around town that caters to your mobility needs? We’d love to hear about it! Community Member of the month: Would you like to share your story? We’d sure like to hear it! What questions do you have? This newsletter is intended to bring you the info you need, so ask us what's on your mind. 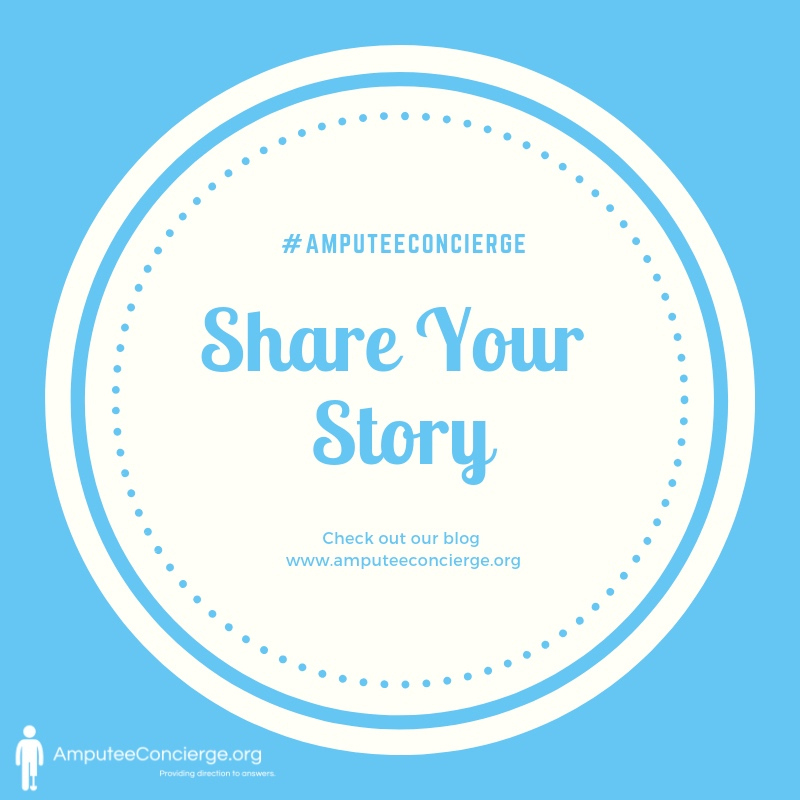 I would like to personally thank you for being a part of the Amputee Concierge community, and for your support in helping me bring my vision to life! I believe that with a strong community accompanied by equal access to information, for free, we can create the inclusive community that we all need and deserve. All services, and information provided through Amputee Concierge and Accessible Boulder will always be offered for free. Information that is necessary and essential to maintaining a persons quality of life should always be available free of charge to the people in need. However, if you are in a position where you can contribute financially, your help is greatly appreciated and will help ensure a bright future for this resource. Please see the links below to the donation page, or simply share this email with someone in need.